Abu Dhabi: Care for a selfie with the Crown Prince of Abu Dhabi? That's what some mall-goers did when they saw His Highness Shaikh Mohammad Bin Zayed Al Nahyan, Crown Prince of Abu Dhabi and Deputy Supreme Commander of the UAE Armed Forces, at Yas Mall. Shaikh Mohammad Bin Zayed, also known as MBZ, seemed not to mind obliging them as he was out and about in the UAE capital on Saturday morning. 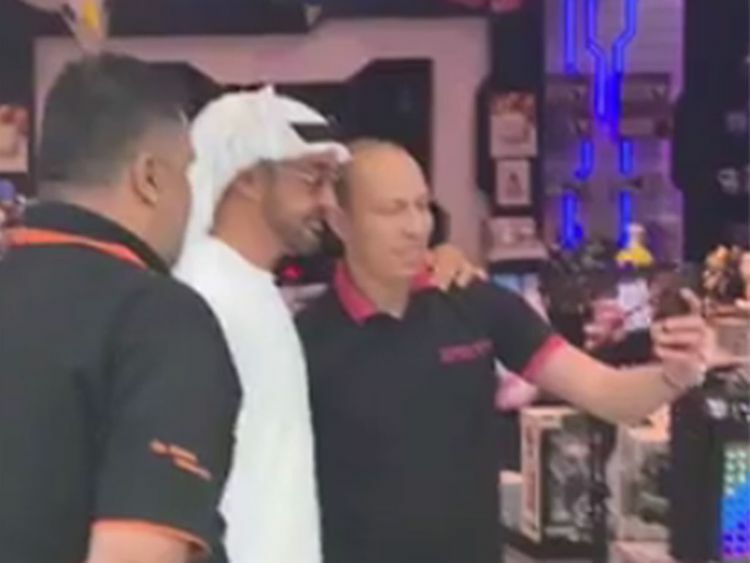 A video doing the rounds on social media shows Shaikh Mohammad wearing a white Emirati thobe and talking calmly with mall staff as he visits a Tarsam Image outlet in Abu Dhabi. The short, 9-second clip, shows the Crown Prince gladly obliging an unidentified mall staff for a selfie, putting his left hand on the man's shoulder, during a Saturday mall stroll. Some people and families stopped briefly for a glimpse of the UAE leader. Shaikh Mohammad Bin Zayed is the son of the late Shaikh Zayed Bin Sultan Al Nahyan, the "Father of the Nation" and the first President of the UAE, and the brother of His Highness Shaikh Khalifa Bin Zayed Al Nahyan, President of the UAE. Shaikh Mohammad is married to Her Highness Shaikha Salama Bint Hamdan Al Nahyan, and has four sons and five daughters, according to his online biography.